Adinco is a Boutique Distillery specializing in Alcohol and Liquor brands. In keeping with Adinco’s expansion plans to enter new markets, the existing materials and website were outdated and clearly unsuitable for moving forward in the international arena. SOIDEMER was approached to carry out an immediate Brand Refreshment exercise that was scheduled to roll-out in conjunction with their new Brand launches. 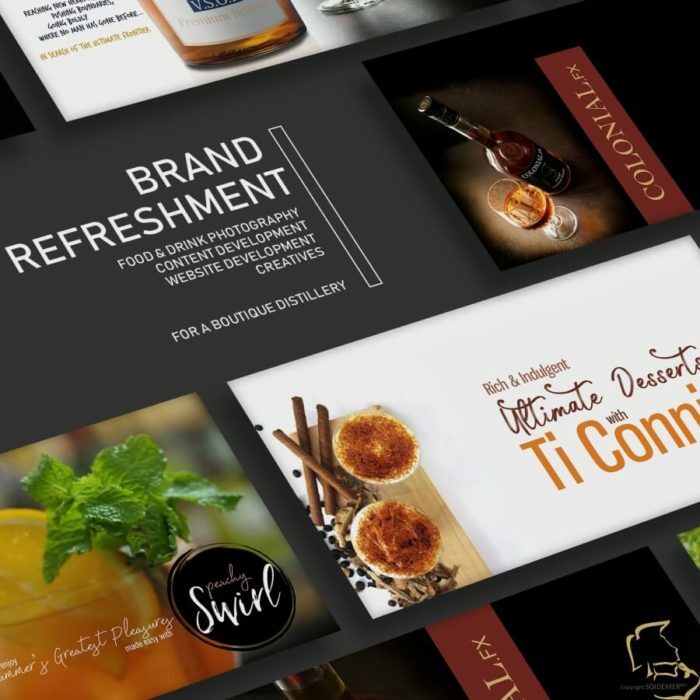 The exercise included fresh Content write-ups, and several sessions of professional Alcohol Photography, styling and post production work across all their Brands, which were rolled onto a freshly developed website, promotional materials and creatives. As a multi-brand website, the structure was designed to support a separate look and feel for each brand and features to facilitate the overall strategy that we had outlined. The build was responsive and had CMS capabilities with full control for customization. The months preceding the launch required careful study of each product, tasting profile and perceived experience in an attempt to evoke the persona of each brand.